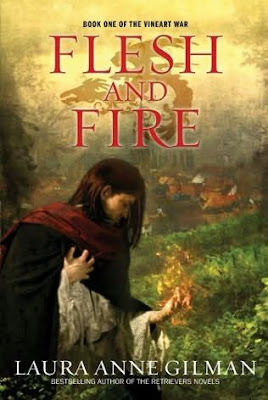 Thanks to Simon & Schuster, I have one (1) copy of Flesh and Fire by Laura Anne Gilman up for grabs. This giveaway is open to those with a US mailing address. Just leave a comment with a valid email addy so I can contact you. Using Random dot Org, winner will be chosen and announced on Wednesday, 10-12-11. Sounds like a very interesting book, definitely adding it to my TBR! I loved Laura Anne Gilman's Retrievers series. Can't wait to start this new trilogy.